Discussion in 'Internet & Social Media Law' started by Elaine70, Oct 15, 2018. I caught my husband cheating and when I was extremely upset I posted my story and his and her publicly available images on dirtyhomewreckers.com and bustedcheaters.com , there was one other site too but I forgot the name of it. Anyway, I know what I did was foolish but it's done and I've learned my lesson and I am divorcing my cheating husband. I've emailed both site owners many times and have requested that they remove the postings, they won't even respond to me. It says on their website that all postings become their property and are permanent once posted on their sites. Can I sue the site owner(s) to get my postings removed? Why won't they comply with my request? I've even offered to pay for removal and they never responded. What should I do? Accept the fact that you made a mistake and move on. They have no legal obligation to reply to you, or to comply with your request. Get your divorce and get on with your life. It says on their website that all postings become their property and are permanent once posted on their sites. Did you think this was a joke and that they didn't mean what they said? Can I sue the site owner(s) to get my postings removed? Anyone can sue anyone for anything. However, given what you wrote about the sites' terms and conditions, what would make you think you have any basis to sue anyone? Why won't they comply with my request? We can only guess blindly about the motivations of persons who are unknown to us. That said, I assume that anyone who would operate such a website doesn't give a rip about customer service/satisfaction or care about folks realizing that posting at sites like this is stupid. I've even offered to pay for removal and they never responded. Apparently you didn't offer enough to pique anyone's interest. Forget about it and move on with your life. Sites that seek salacious gossip live for only one thing, CLICKS. If you use any such sites, you're in as much peril as the ones you throw undee the bus. For future reference, research the common law tort of defamation per se, and its siblings: libel per se and slander per se. I think instead of you, your husband can request these websites to delete the pictures via a court order on ground of public humiliation substantiated by a psychological assessment report. Please don't post stuff that you have simply made up. As we explained seven-plus weeks ago, there is no basis for anyone to sue or obtain any sort of court order. "Public humiliation" isn't a concept about which the law cares. I am a member of the New York Bar living in HK. So I know what I am talking about. Why don't you post a link then, to the NY or Federal law that gives the husband the right to force a takedown based on public humiliation? Hong Kong is near Macau, but they are separate entities. Macau or Macao, officially the Macao Special Administrative Region of the People's Republic of China, is an autonomous territory on the western side of the Pearl River estuary in East Asia. Along with Hong Kong, Guangzhou, Shenzhen, Zhuhai, and several other major cities in Guangdong, the territory forms a core part of the Pearl River Delta metropolitan region. With a population of 650,900 in an area of 30.5 km², it is the most densely populated region in the world. He will have to bring it under emotional distress. I know many things, many, many things. I know things others aren't privy to knowing. My passport contains stamps from 105 civilized nations. In an earlier life, when I traveled this planet, a passport wasn't required. Now that's actually helpful. But as for the other, I didn't ask you how he would bring it, I asked you for a link to the law that allows him to do it at all. I'm still waiting. Of course no two cases are the same and I am not here to argue with you or any others. I am just trying to help and present the possible options. Whether the facts of the situation present a compelling action is another thing but it is certainly a possible option. So you don't have a law supporting your position. That's pretty much what I thought. Michael Devereux have suggested a few more options. Elaine get your husband to talk to him but yet agree that he will not continue with the action against you once he has gotten the court order. 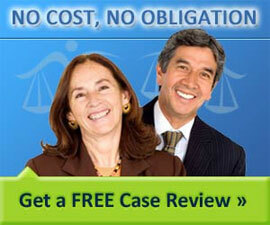 Best instruct an attorney who can look at your case fully. Muratore v. M/S Scotia Prince, 845 F.2d 347 (D. Me. 1987). Greer v Medders, 336 S.E.2d 329 (Ga. App. 1985). Roberts v. Saylor, 637 P.2d 1175 (Kan. 1981). Pemberton v. Bethlehem Steel Corp., 502 A.2d 1101 (Md. App. 1986). Maybe your husband can also file a DMCA notice.